It is clear that Saudi Arabia’s ability to bribe and blackmail the highest United Nations officials, including, by his own admission, UN Secretary-General Ban Ki-moon, makes a mockery of the Universal Declaration of Human Rights, and of the United Nations itself. It is a disgrace that. after blackmailing UN Secretary General Ban Ki-moon and bullying him into removing Saudi Arabia from the “ list of shame” for mass slaughter of civilians in Yemen, and Saudi Arabia’s egregious and flagrant violation of Articles 5 and Article 19 of the Universal Declaration of Human rights, as well as its violation of the Universal Convention on the Prohibition of Torture, Saudi Arabia, nevertheless, has been permitted to bribe and bully its way on to a seat on the Human Rights Council. This transpired last week despite Saudi Arabia’s heinous violations of human rights, both domestically and internationally. Saudi Arabia should, instead be referred to the International Criminal Court for the tyrannical and barbarous practices of its regime, one of the most notorious in modern history. As the precedent of referring countries to the Security Council for alleged gross human rights abuses has been established, the case of Saudi Arabia should be “seized” by the UN Security Council, for referral to the International Criminal Court. Why is the United Nations totally impotent in prohibiting or sanctioning Saudi Arabia’s gross human rights violations? 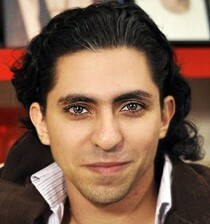 Why is the UN failing to effectively protect Saudi journalist Raif Badawi, sentenced to 1000 lashes and 10 years in prison for criticizing the notorious Saudi tyranny, and the country’s infamous hardline religious establishment which inflicts barbarous Sharia law? The torture of Badawi, the excruciating torture of 1000 lashes, in addition to 10 years imprisonment is the most obvious example of systemic and egregious Saudi human rights violations. According to Dr. John Hayward, the doctor who evaluates torture victims for the organization “Freedom From Torture, the torture inflicted on Badawi and innumerable others not only causes depression and can precipitate suicide, but causes the trans-generational trauma which will inflict agonizing suffering on his wife and three children, and their decendants. While there are loud calls for regime change in Syria, where are calls for regime change in Saudi Arabia? Why has the UN not prohibited Sharia law, which condemned a 12 year old girl to death by stoning in Somalia for refusing a forced marriage? Where is the line between religious “freedom” and colluding in the tortures and massacres inflicted by religion, from the Crusades to the Inquisition, to the Sharia torture of Badawi? Article 5 of the Universal Declaration of Human Rights states: “No one shall be subject to torture or to cruel, inhuman or degrading punishment.” Article 19 states: “Everyone has the right to freedom of opinion and expression; this right includes freedom to hold opinions without interference and to seek, receive and impart information and ideas through any media and regardless of frontiers.” Raif Badawi is the victim of criminal infringement of these rights. Saudi Arabia is the most notorious example of the monstrous hyprocrisy denounced by the great philosopher, Freidrich Nietzsche, who, in abhorring religion, exposed the duplicity of religious leaders who inflict sadistic rules on their subjects, the very restrictions which they themselves flagrantly ignore. Nietzsche’s “The Geneology of Morals” is the ultimate scathing condemnation of this hypocrisy. The culpability of Saudi Arabia was highlighted in a 1980 documentary entitled: “The Death of a Princess,” which exposed the licentious behavior indulged in by the Saudi royal family. The documentary filmed and revealed the Saudi monarchy’s depravity, in which the Royal males are notorious for having harems, while their pampered wives cruise the streets in limosines and recruit men whom they fancy for amusing sexual adventures. This very same Saudi monarchy pronounced the death sentence, by beheading, of a Saudi Princess who fell in love with a student, not of royal birth, and married him. Both she and her husband were beheaded. The famous documentary was produced by the British, who coveted Saudi oil, and, cowering before Saudi threats to cut off their oil supply, immediately withdrew presentation of this documentary which revealed the degeneracy and extreme cruelty of the Saudi monarchy and the entire system. Where are UN calls for Regime Change in Saudi Arabia? Since the UN Security Council authorized the destruction of two of the most progressive states in the Arab world, Iraq and Libya. where is UN Security Council authorization for regime change in one of the most corrupt and oppressive regimes in the Arab world? Where is the “Responsibility to Protect” (R2P) boasted about by the United Nations, and why is this “Responsibility to Protect” not extended to Saudi journalist Raif Badawi, demanding that the 1000 last punishment inflicted by Saudi Arabia be overturned? Does Saudi Arabia control the United Nations? As an ally of the United States, under US protection, a strong case could be made that Saudi Arabia controls the UN, dictating policy to the Secretary-General, burying its criminal violations of the UN Charter, and now stealing a seat on the UN Human Rights Council. How much was paid to craven UN member states to collude in the theft of this seat on the UN Human Rights Council? And how much was paid in treasure and threats by the Saudi protector to eject Russia from the Human Rights Council?